We took our summer holidays in Swanage every year between 1994 and 2000, staying at Richard and Avril Shaw's flat in the town and which had a view of the seafront. When they sold it, we rented a house at Worth Matravers - Old Harry's Cottage - several times until 2004. When that was no longer available, we took rooms in B&Bs such as Lower Lynch House on the road between Corfe and Kingston. We were always very happy on the Isle of Purbeck and sometimes drove down just for a night - as when we went to watch the Hale-Bopp Comet in 1997. Beautiful place! Hope to see it soon. 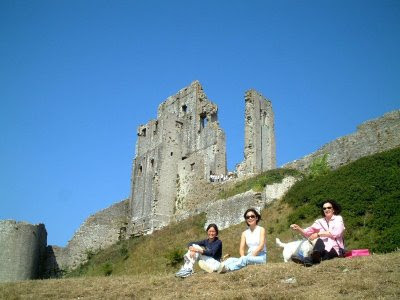 I am planning for a vacation and am looking for a Dorset holiday cottages. Hope you can suggest something.